Pure beauty inspired by nature. Doctor Eckstein BioKosmetik® has always been committed to producing superior skincare products by combining the best of nature with the strength of science. 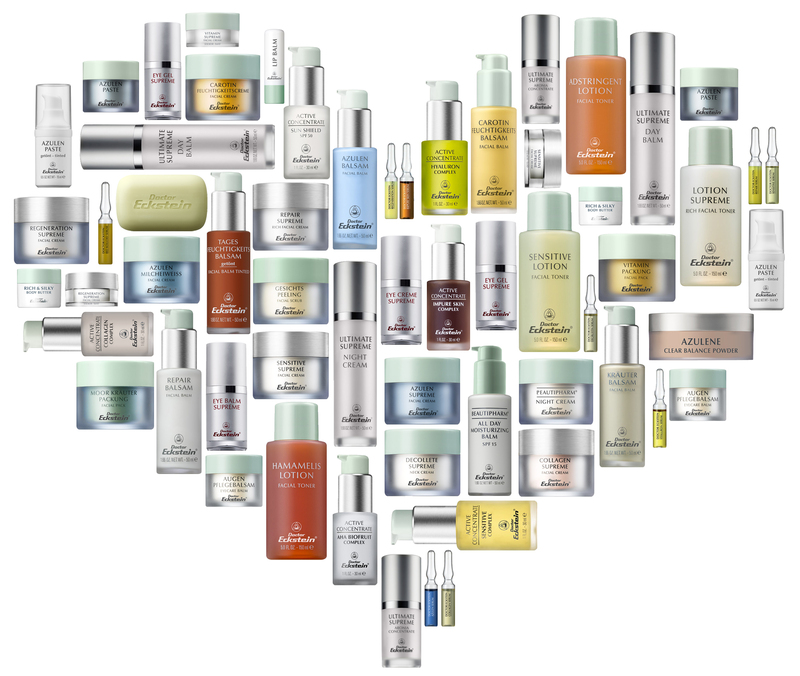 With over 100 products available, we offer a skincare solution for every skin type and condition. Since its founding in 1949, every product has been developed and manufactured at its company headquarters in the lush region of Oberasbach, Germany. Doctor Eckstein BioKosmetik products are only available through qualified beauty therapists. Hamamelis (Witch Hazel) Lotion has been an important part of effective care for blemished skin since 1954. For today's active lifestyle there is now a mobile version. 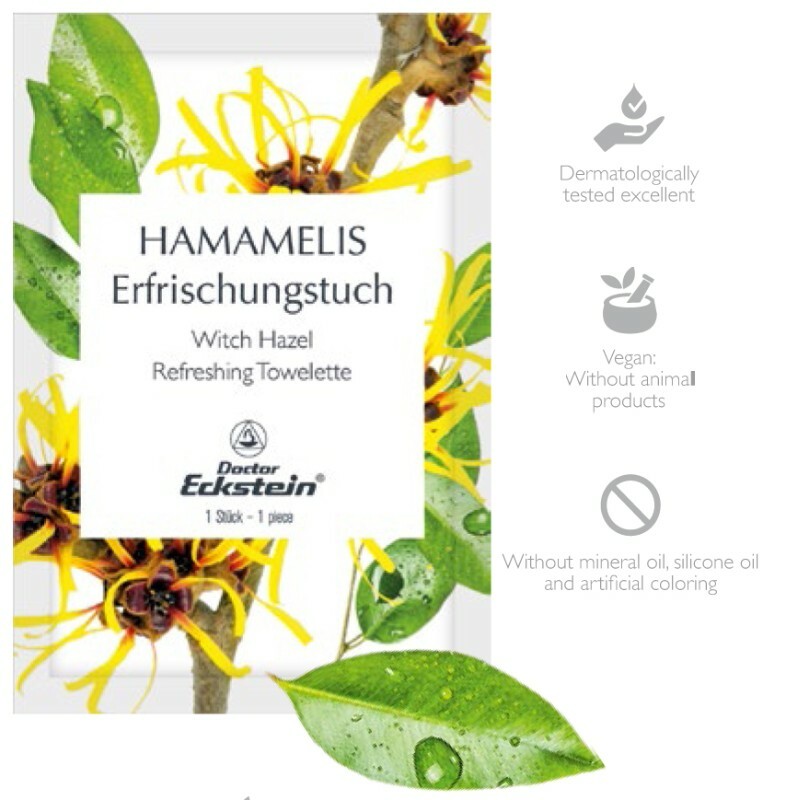 Hamamelis Refreshing Towelettes provide the same great care for blemished or oily skin in a practical travel format. When it's impractical to carry the full-size bottle, the new Hamamelis Refreshing Towelettes are ideal. Convenient, individually wrapped towelettes are the perfect "go anywhere" solution to problem skin. The powerful astringent effect refines pores and helps the skin regain its natural balance. Click here for details on all our latest products.